A symposium was held from July 10 — 13, 2017, at the National Central University in Taiwan on the occasion of the 70th birthday of Professor Wing-Huen Ip. This resulting Festschrift gives an overview of the progress made since his student days in the exploration of the solar system and beyond, which is highlighted by the missions to asteroids (Chang’E 2), comets (Rosetta), and the Saturnian system and Titan (Cassini-Huygens). In this book, readers will find not only in-depth reviews on the structure and origin of Kuiper Belt objects and on our unending search for an Earth-mass object in the outer reaches of the solar system, but also previews of things to come in the study of exoplanets as exemplified by the comparative study of the Kepler and LAMOST observations. 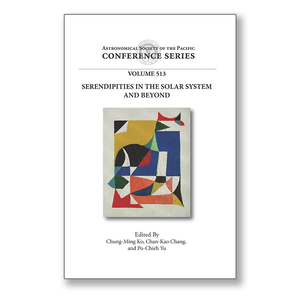 This proceedings volume contains two scientific memoirs, twenty-one invited papers, and eight contributed papers on a wide collection of topics ranging from celestial mechanics to plasma physics contributed by astronomers and planetary scientists from many different countries and continents. It demonstrates amply the promise and vigor of international and interdisciplinary cooperation as symbolized by this symposium. This volume is also a reminder that scientific serendipities can only happen with endurance — however hard-won and difficult they are to achieve.